This weekend was the IMS in Chicago. I go to this show almost every single year. This year I was terribly sick with a head cold, and I probably should not have gone, but I was looking forward to attending for weeks, so I had to go despite the sickness. Sorry, I was so out of it that I didn't get any photos of the show, but I'll try and post what I liked below. This was by far my most anticipated bike to see at the show. I have had a fascination with Royal Enfield long before I got my motorcycle license. The look of their bikes invokes something "classic" and despite the issues with the build quality, something about their "old fashioned", mechanical nature is appealing from a motorcycling perspective. Single engine, carb'd bikes on steel frames. The Himalayan has been discussed for a couple of years now. 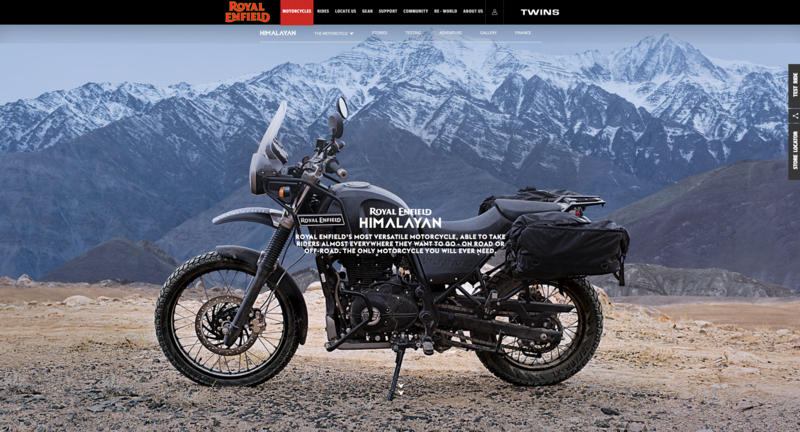 The Himalayan is a 400cc single cylinder adventure bike. Not quite a a dual sport and not quite a full on adventure bike. The ADV touring segment is huge at the moment and BMW arguably dominates this world. Their bikes also cost >$20,000 most of the time. The Himalayan comes in at $4500 list. What immediately made me think this could be a great bike is a memory from watching the "Long Way Round" documentary a few years ago. In that show Ewean McGregor and Charley Boorman took BMW's across Russia (and the world). At one point in their adventure their camera operator's bike broke down and he ended up getting a small motorcycle to use across the countryside. While the two BMW's got slogged down in the mud, this small, light and simple little bike took to the terrain effortlessly. A quote from Cycleworld summed up what I thought was perfect. "Where are the bikes that are perfect for once-a-week adventures, not once-in-a-lifetime ones?" Sitting on it at the show immediately caught me. It felt great, and at $4500, almost comes in at an impulse buy (at least as far as motorcycles go). First off, I am not a Goldwing rider. 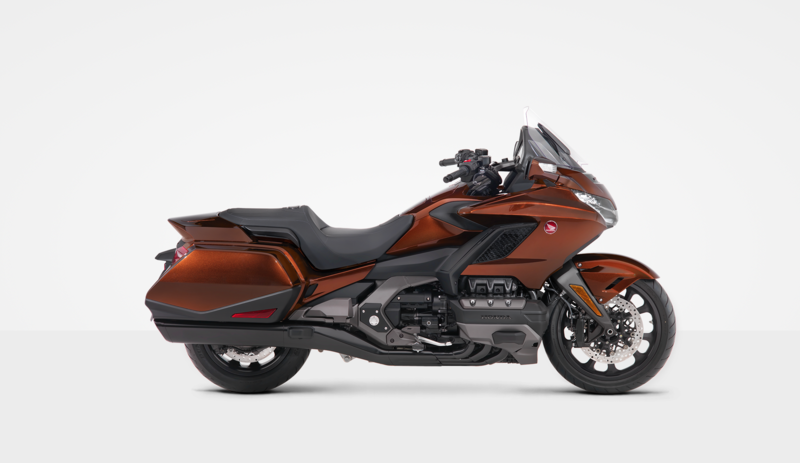 Heck, I am not even a touring bike type of rider, but the new Goldwing has been getting rave reviews from every news outlet out there. It even has Apple CarPlay and airbags. Did it look good at the show? Sure, especially that brown color. You know who I saw standing around it though? A bunch of old guys. Not the type of bike for me. Another bike I have heard a lot of good things about. The H2 SX looks to be an insane engine, packed into a sport tourer. The primary requirements for a my type of motorcycling is I want a machine that I can "load up" with luggage for touring and then also "strip down" for one day rides on twisty roads. I don't want to see luggage permanently grafted onto the bike, or tons of "stuff" that adds all sorts of weight. The HS SX would fit my criteria almost exactly, except for all of the plastic fairings. But, as you can see from the photo. It looks great "stripped down". When sitting on it, I liked how it felt, but I did feel like I was leaning forward a bit for 10+ hours of riding straight. I suppose I would like to actually test ride this one in the real world though. It is a sharp looking bike, but also comes in at about $23,000. Yikes. I was in the market for some new boots, but I unfortunately didn't see much at the show this year. I'm not sure if the vendors didn't seem as prevalent or if it was because I was very sick, but I didn't see much boots for sale at all. Just patches and "Harley" leather. This was a "heavy" book. The subject matter, the style of writing. All of it carried a tremendous amount weight to it and you felt as if you were carrying that weight with you all the way through the book. Every plodding step that our characters took was just as painfully dragged along with you as the reader. The writing style of this book was the most profound thing that I noticed. The structure was very "pointed" and succinct. Sentences were punctual with very little punctuation. The story overall was very well written and I can see why this has won so many awards. The subject matter and style of the writing sets this apart as a "work of art" in terms of literary writing. While I did enjoy this book, I somehow did not find myself emotionally attached to it. Perhaps it was because of the impending doom that we all knew coming at the end, but the conclusion of the story here left me neither emotionally engaged, nor hopeful. 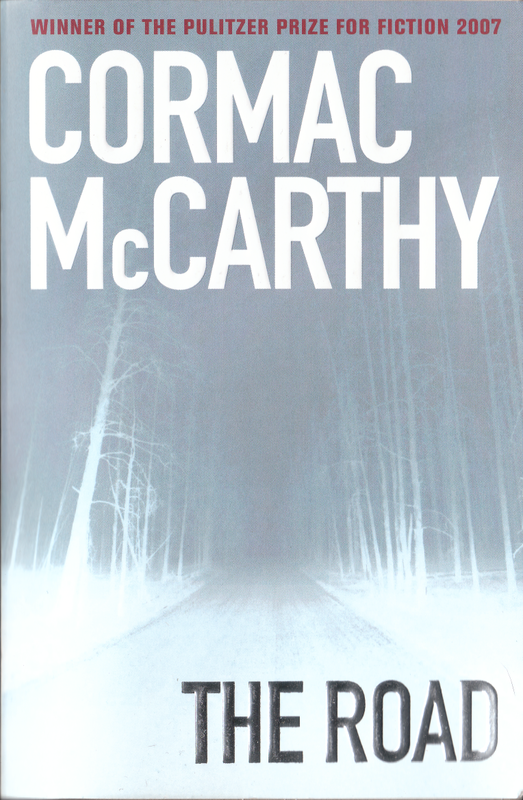 Perhaps that was exactly what McCarthy was going for, a story that reflected the insignificance of its importance in the world that it was written in.